I heard about it, and I finally saw it yesterday. 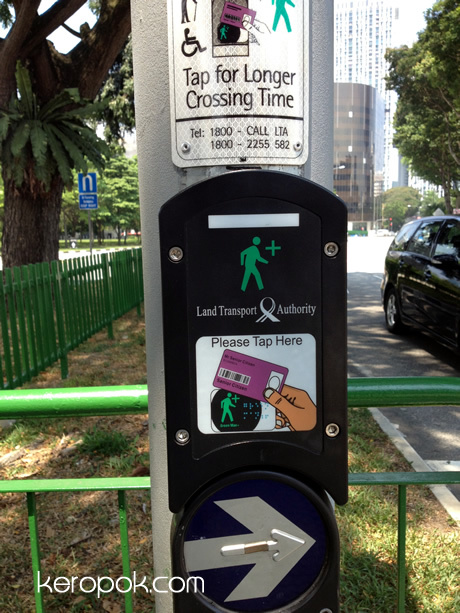 Senior citizens using their Senior 'purple' EZ Link card can tap the reader to alter the timing of the pedestrian crossing lights. I just realised I should have tap my normal card to see if it works too! Interesting blog. Not only showing sightseeing pictures, but anything from there. That helps to have a better feeling of thsi palce for who has never been there.